You'll love this great cottage - a perfect holiday choice close to city , nature, beaches and wildlife.. Situated high on the spectacular Otago Peninsula, 'Highcliff' is the perfect place to relax and take in all the local natural attractions. 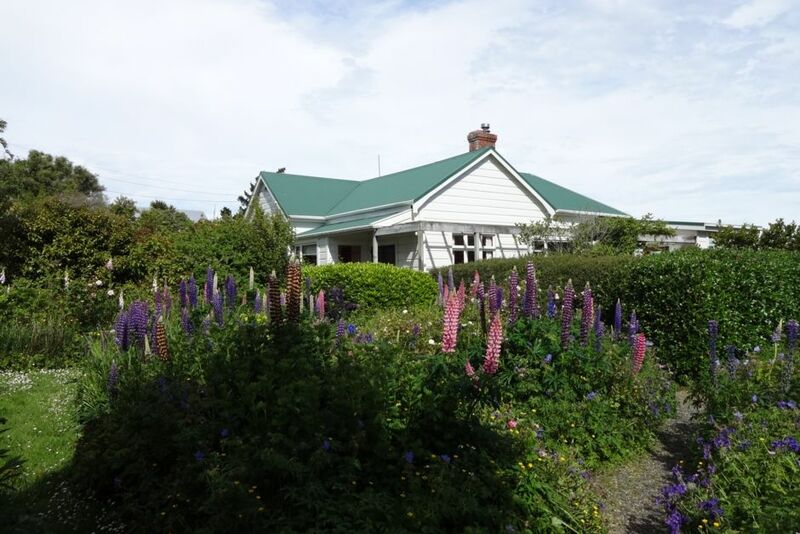 Outstanding sea views and minutes from New Zealand's own historic castle - Lanach Castle. View the antics of yellow-eyed penguins, seals, sea-lions, Royal Albatross and enjoy wonderful walks - Buskin Track, Paradise Track, Greenacres Track - and this place is just stones throw to Sandfly Bay. Just 14klm from heart of the city Dunedin,with its fabulous cafes, galleries, restaurants and shopping - and the University of Otago if you're visiting your studious off-spring but student digs aren't for you . You're also close to Dunedin's main airport- 45 minutes - and which also has rental cars available from there. This warm and welcoming holiday accommodation is in a very beautiful quiet garden setting - great for kids, outdoor areas to relax in the sun. Cell phone reception is available for calls and internet connection. Property was beautifully maintained and had everything you would need.Fabulous views and very quiet. The location is great though you would probably need a vechile though the bus service seemed frequent.Portobello is a little gem and has some lovely places to eat and a great general store.Would definitely return. Nice and clean place. Owner has excellent communication. Great place to watch life go by. Thank you so much for staying Oliver - so pleased you found the house comfortable. Loved the location. The house was well equipped and beds comfy. The fireplace and firewood appreciated on cooler evenings. So pleased you liked it! Thank you for staying. We had such a lovely stay at your beautiful house. It was so perfect for the kids and such a stunning view! Thank you for making it so homely, we would definitely love to visit again.